This Banana Bread is such an easy and delicious breakfast or dessert! It is so moist that this recipe from my mom’s cookbook will be the only recipe you will EVER use! 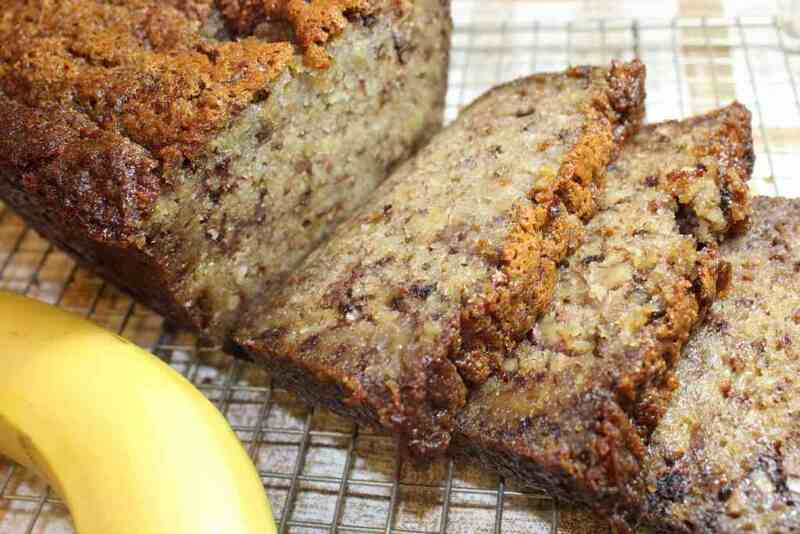 There are hundreds, if not thousands of Banana bread recipes out there. The tough part is finding the one that is PERFECT for you! Once you’ve mixed all the ingredients together, let the mixture sit for an hour before adding into the pan for baking. This is the secret to this recipe and trust me – it is worth it! If you don’t have a loaf pan, you can use a bundt pan. Decrease the cooking time to 50-60 minutes. If you don’t have ripe bananas, place them (with peels on) in a 240 degree oven for 15 minutes. If you have ripe bananas, but won’t be baking for a few days, peel and place them in the freezer until your ready. You can make the banana bread ahead of time and place the loaf into a ziplock bag to freeze. When your ready, leave out to thaw. 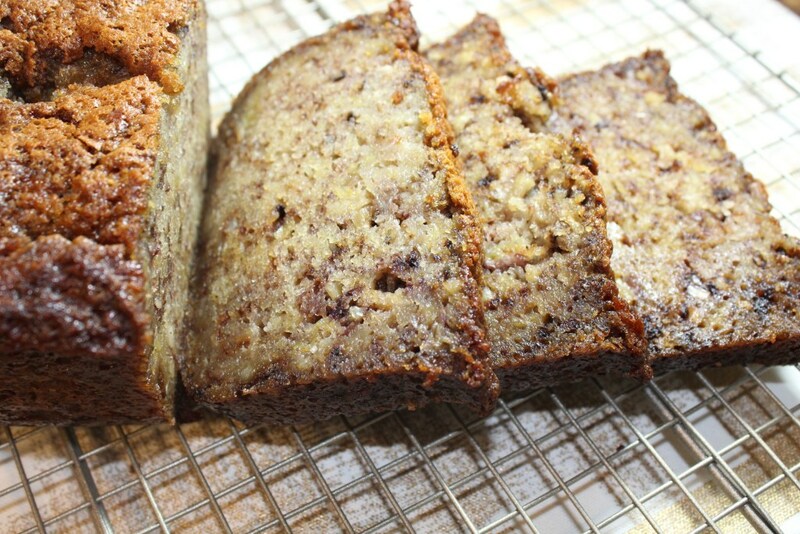 This Banana Bread is such an easy and delicious breakfast or dessert! It is so moist that this recipe from my mom's cookbook will be the only recipe you will EVER use! Pour into greased loaf pan(s). Bake 60-65* minutes at 350 degrees. If using a bundt pan, bake for 50-60* minutes at 300 degrees. Ten minutes before final cooking time, check doneness with toothpick. When toothpick comes out clean from middle of the loaf, it is done or when center of loaf is close to 195-200 degrees F. (Note: It's okay to let the crust get very dark if cooked for longer, it is supposed to be and won't hinder the taste). Let stand until almost cool. Loosen bread from sides with sharp knife and set aside. Enjoy! Oven times may vary. If liquid is seen in the center of the loaf, continue cooking until center is firm. It is okay to cook longer until center. Edges may turn very dark - that's okay. It will taste the same! 0 Response to "Unbelievably Moist Banana Bread"